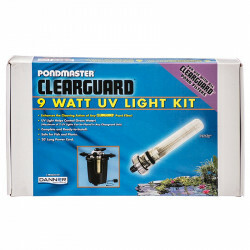 Pond Filters - Discount Filters, Skimmers, UV Sterilizers & More! When you see those beautiful koi swimming around a park or backyard pond, have you ever wondered what keeps them so healthy? With limited areas to swim, some of these fish get to be massive; but yet how can they be so resistant to disease and bacteria when most ponds are fairly small? Its because of the filter thats used. Pond filtration is a key factor in all water gardens and ponds. A Pond Filter Box or Pond Skimmer can be utilized to break down fish waste, protect your pond pump from excess debris, and trap unwanted particles from within the water. 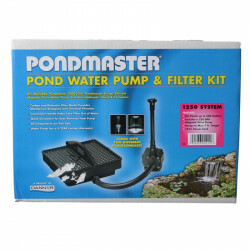 Pet Mountain has many kinds of pond filters and equipment, including our popular Pondmaster Pond Filter. Whether you have a 500 gallon or 5,000 gallon ponds, youll be fine with this model. Need to hide your filter in the water? 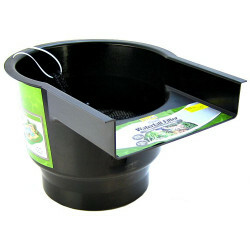 Get a submersible pond filter, if you want to make it a part of the garden, get an external pond filter. If you have a large pond, youll probably want a type of Pond Pressure Filters. It will give you the heavy duty filtration you need. Be sure to check out the UV Upgrade Kit if you need to step up to a better unit. For a more natural filtration process we suggest our Pond Bio Filters where beneficial bacteria aid in the filtration process. 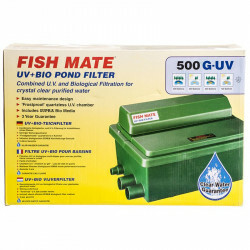 Take a look at our huge selection of pond filters. Discover all the specials and discounts. Cant find something? Let us know; well track it down. And dont miss our online coupons and discount shipping on all your favorite products.